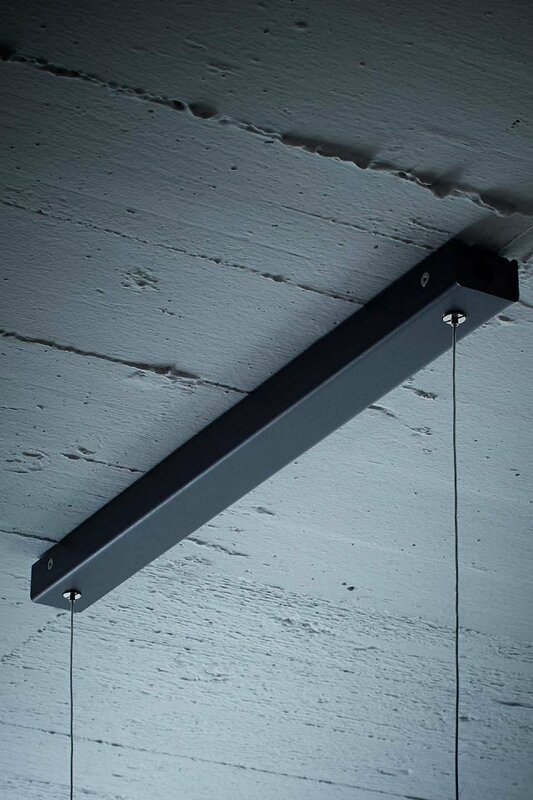 SlimLane© offers a maximum of light intensity combined with a minimal design. 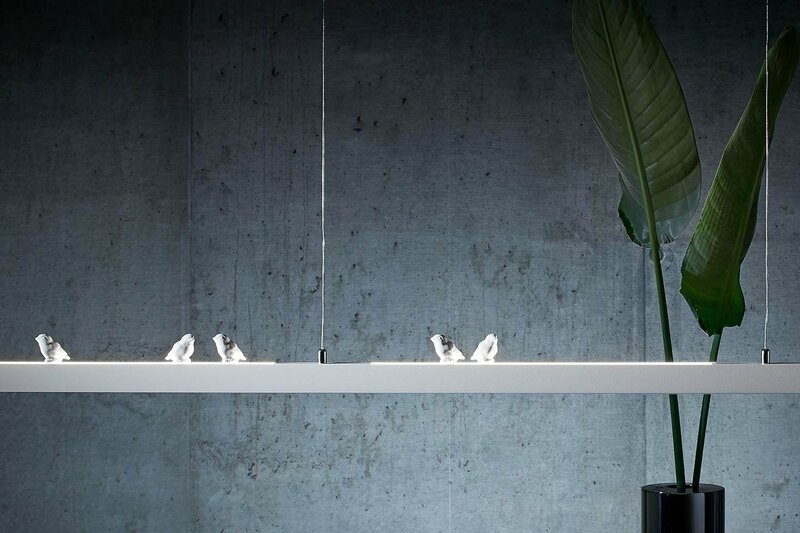 The puristic luminary with a cross-section of only 18 x 30 mm ﬂoats almost effortlessly in the room and is available with the ﬁnishes textured white or black. Thanks to the pendant electrical cable no power chord is needed. 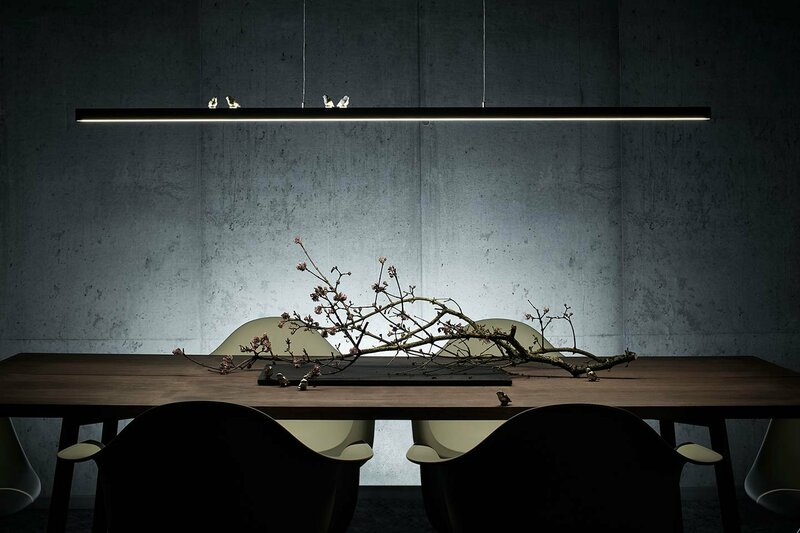 The intensity of the direct and indirect light portion can easily be adjusted by gesture control. 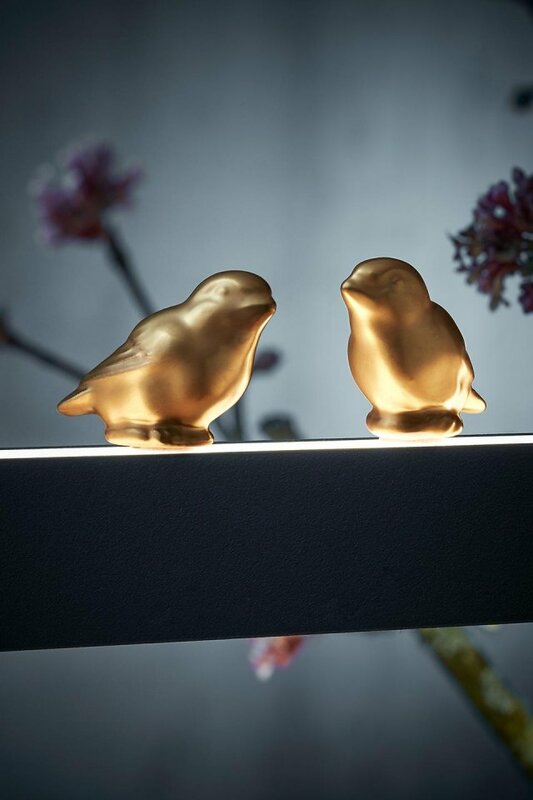 For individualization, design birds, in white or gold plated, made of Biscuit porcelain manufactured by Lindner porcelain factory can be added.